Rohit Shetty is currently gearing up for the release of Golmaal Again. The film, which is the fourth installment of the potboiler franchise, is hitting the screens this Diwali. 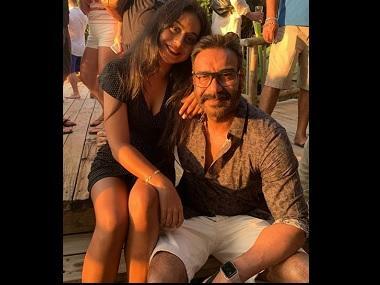 While a few songs are still in the process of being shot, Shetty has confirmed to Bombay Times that a fifth installment shall happen when the script is ready. Rohit Shetty. Image from CNN News18. The action director says that he does not want to make another film just for the sake of continuing the franchise. In other news, Shetty has also acquired the rights to Gulzar's 1982 film Angoor. However, he tells DNA, that he does not want to rush into production right now. Apart from his upcoming Golmaal film, the director has another true blue action entertainer planned with Ranveer Singh in the leading role. After completing Padmavati and Zoya Akhtar's Gully Boy, wherein he will be seen sharing screen space with Alia Bhatt, Singh will start shooting with Shetty. 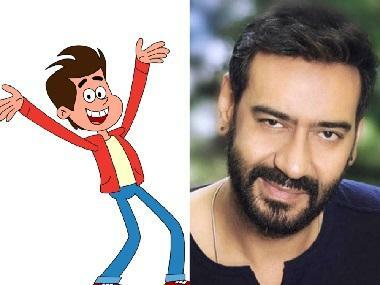 Starring Ajay Devgn, Parineeti Chopra, Tabu, Tusshar Kapoor, Shreyas Talpade and Kunal Khemu, Golmaal Again will document the (mis)advenutres of Gopal, Madhav, Lucky, Laxman, Laxman along with Priyanka (played by Chopra) and Rukmini (played by Tabu). It is slated to release this Diwali on 20 October, along with Advait Chandan's coming-of-age musical Secret Superstar.